Invicta watches are synonymous with affordability, function and great styles. 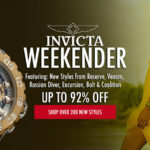 The brand, that includes both Invicta watches and i by Invicta, produces an extensive line of men’s watches and women’s watches that showcase that function or style don’t always come at the expense of the other. Indeed, the domestic timepieces blend durablity and elegant design with sports- and professional-inspired elements. Both Invicta and i by Invicta have several watches that are ideal for all scenarios and transition between work and play. Many are stylish takes on contemporary and classic silhouettes, and boats upscale features including two-tone stainless steel or polyurethane; they even occasionally feature diamond embellishments on the women’s models. 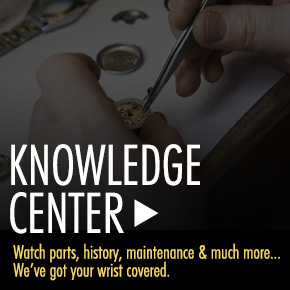 A key feature of the Invicta watches is their signature chronographs and oversized faces with detailed time-keeping. 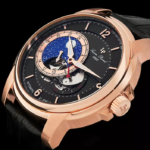 As a result of Invicta watches dedication to both fashion and function, the US-made watch line has a line up of fans that include Jessica Alba, Mandy Moore, Dean Cain and Fergie.